Celebrate the 100th anniversary of Children’s Book Week with the NYBG Library! While we’re still waiting for the snowdrops to nod up out of the frosty winter grounds, another signal of the impending spring is already here: witch-hazels! 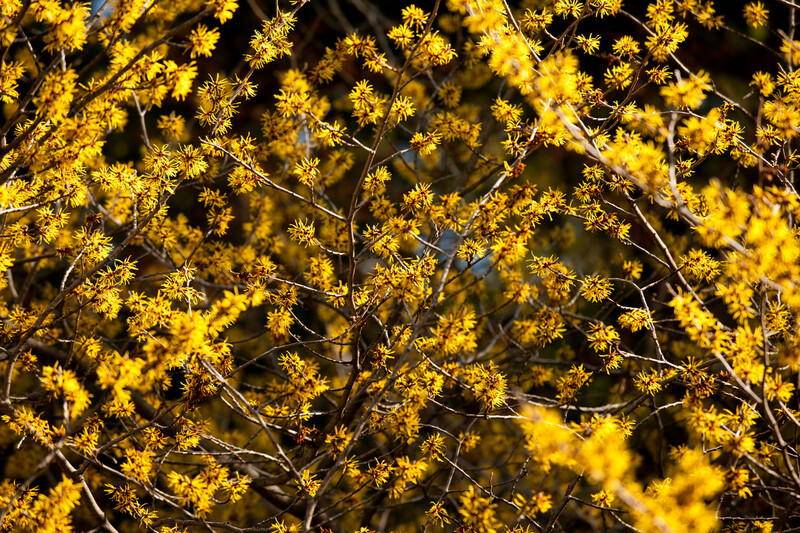 Keep your eyes open as you make your way around NYBG, and you might catch the streamer-like red, orange, and yellow flowers of Hamamelis opening here and there. They’re certainly hard to miss. Comments will be reviewed before posting to the site.